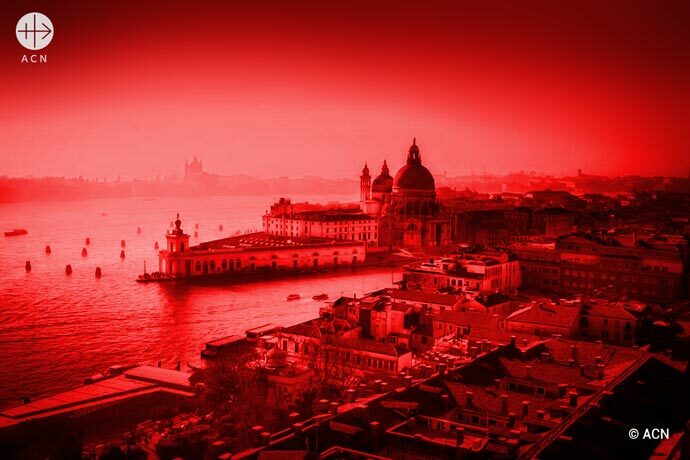 The Holy Father has expressed the hope that the “timely initiative” launched under the title of “Venice in red” and organized by the patriarchate of Venice and the international Catholic pastoral charity and pontifical foundation Aid to the Church in Need (ACN International) has called “the well-deserved attention of all people to the grave problem of discrimination facing Christians in so many parts of the world”. The Pope, in a message to the Patriarch of Venice, Archbishop Francesco Moraglia, conveys his “warmest greetings” to the young people who participated in the diocesan pilgrimage, which preceded the main “Venice in red” event. 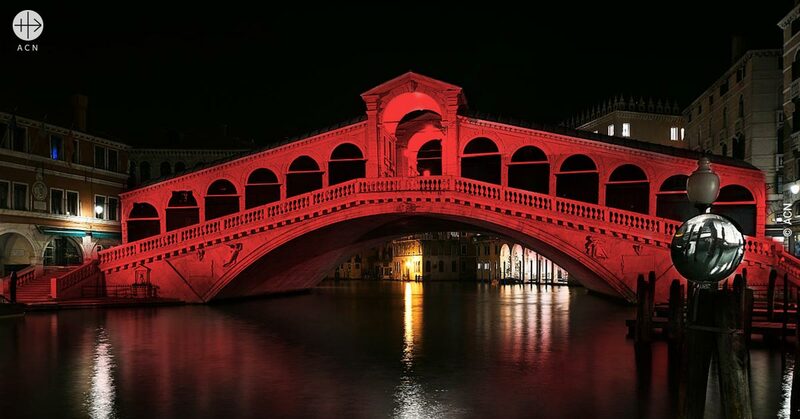 Yesterday were illuminated in red the Basilica of the Madonna della Salute, the main section of the Grand Canal and the Rialto Bridge, along with other symbolically significant buildings of the city of Venice. As the Pope’s message makes clear, the purpose of these events is to “raise public awareness about the critical situation of so many Christians who are persecuted on account of their faith.” The message also recalls that “indeed there are countries where a single religion is imposed, and others where we are witnessing a violent persecution or systematic cultural denigration of the disciples of Jesus”. This is why it is vital to organize events like this one in Venice and all the other similar events held by ACN, including the lighting of important historical monuments such as the Colosseum (Rome), Christ the Redeemer (Rio de Janeiro), the Basilica of the Sacred Heart of Montmartre (Paris), the Cathedral of the Most Precious Blood of Christ of Westminster (London) and others in order to draw world attention to the many violations of the right to religious freedom. A “fundamental human right” which, as the message makes clear, “must be respected, because it reflects the peak of human dignity” adds the Pope.